In a disaster situation, triage and rescue workers typically tag patients with a colored paper bracelet that correlates to the severity of their injury. But a patient's situation can change after being tagged, making it difficult to keep track of who needs what care. So researchers at the Fraunhofer Institute have developed a cheap electronic alternative enhanced with GPS and health sensors. 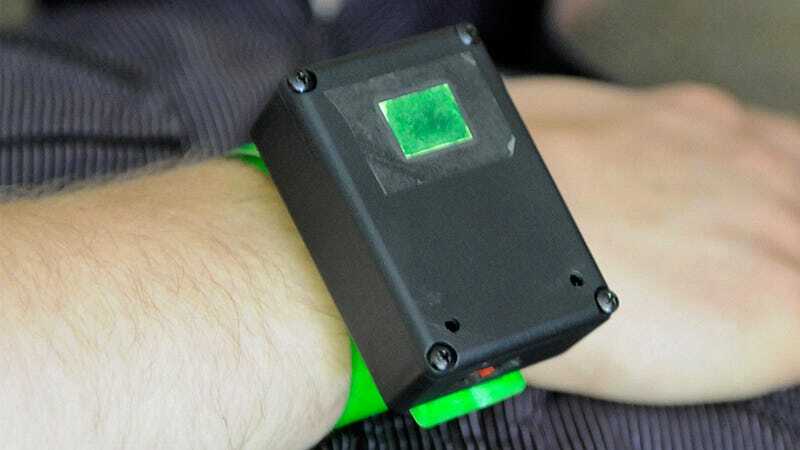 Patients not requiring immediate care would be given a green eTriage wristband packed with only GPS and wireless hardware so they could be tracked and not forgotten about. But those requiring medical attention immediately would be given a slightly more advanced red version that includes pulse, blood oxygen, and respiratory sensors so their condition—and any changes—could be monitored in real-time.